RecordBird digs through your music library, figures out what kind of music you love, and then scours a huge collection of artists to find even more for you to enjoy. It brings you new releases of the artists you already listen to, plus helps you discover fresh musicians you might not have found yet. 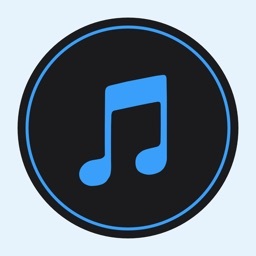 What Apple's Music Connect failed to do, RecordBird does. Add new releases to your calendar. To help you really keep up with the music scene, RecordBird can integrate with your calendar. 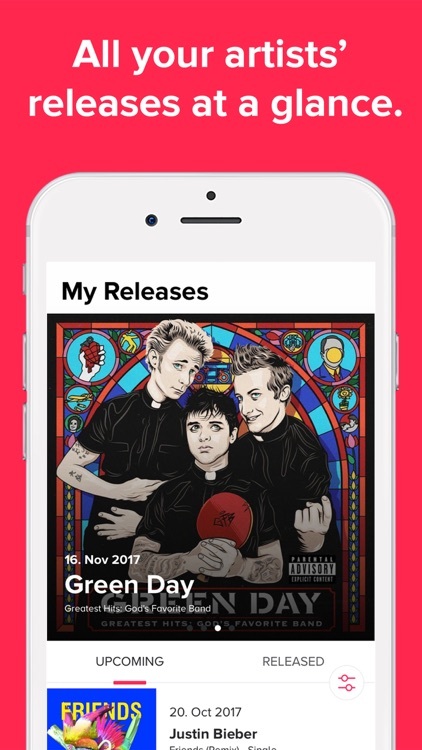 You can add new releases to your calendar so you remember to preorder or buy them, all without leaving the app. RecordBird maintains a feed of when your favorite artists are dropping new MP3s, vinyl, DVDs, or even videos. If a musician you love uploads a new video to YouTube, you can stream it right from within RecordBird. For finding the new stuff your favorite bands and singers are coming out with, there aren't many apps (if any) that can beat RecordBird. Hide releases you don't care about. Did a new release show up in your feed that you aren't interested in? RecordBird makes it simple to hide it from view. This is also handy if you've already noted it, and want to keep your feed clean. From the feed, you're also able to add releases to your calendar or share them, just by swiping left on the card. Every day, you'll find new music to pop on your calendar or stream. Discover even more artists. You don't have to be satisfied with the musicians you already know about. RecordBird scours through your music collection and finds new artists similar to what you already love. 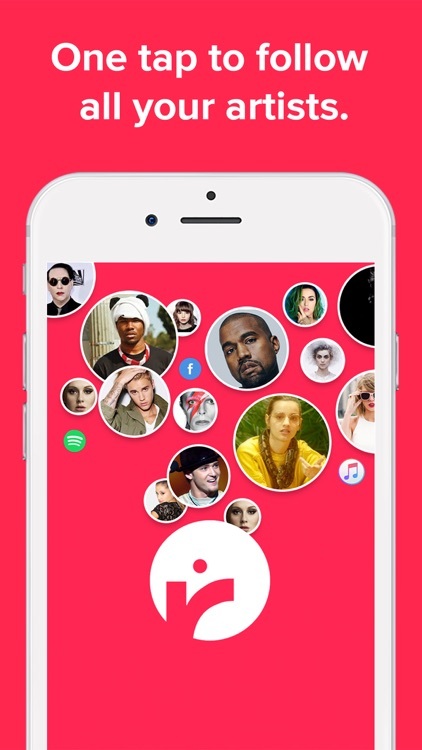 This app is a truly social experience, too, allowing you to love or follow artists, share information to Facebook, Twitter, or anything else with a Share Sheet extension, and even stream samples of the music straight from the app. It brings in YouTube videos, too, so you'll always know when the musicians you follow upload new music for you to watch. 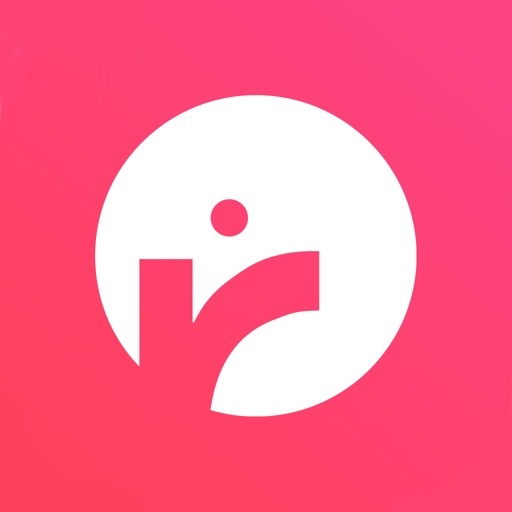 RecordBird is a music discovery and sharing platform like none other. 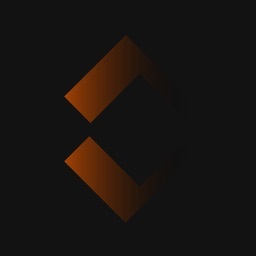 It brings you a complete feed of every new release you care about, and more. If an artist releases a new YouTube video, you'll get that, too. You get a daily feed of new music, and you can share it via Facebook or any other app that supports Share Sheet extensions. It's been built around the discovery of new music, so you can open it every day and find something new. 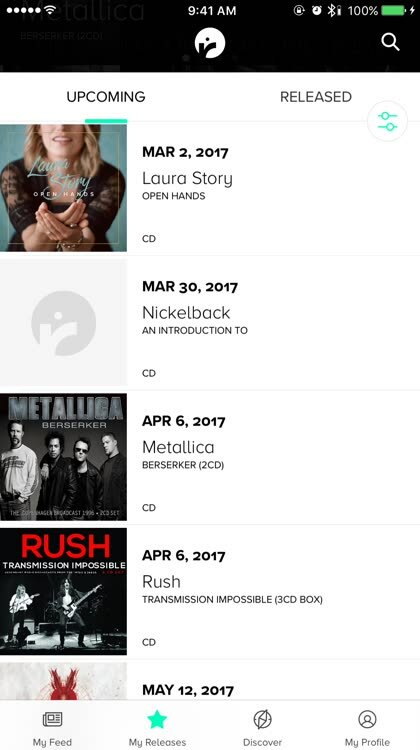 Once a new album has been dropped, you can tap on a link to buy it, and you can set calendar events to remind you when upcoming releases are available. RecordBird works with Apple Music or Spotify, so it can even search your cloud libraries for the artists you love. 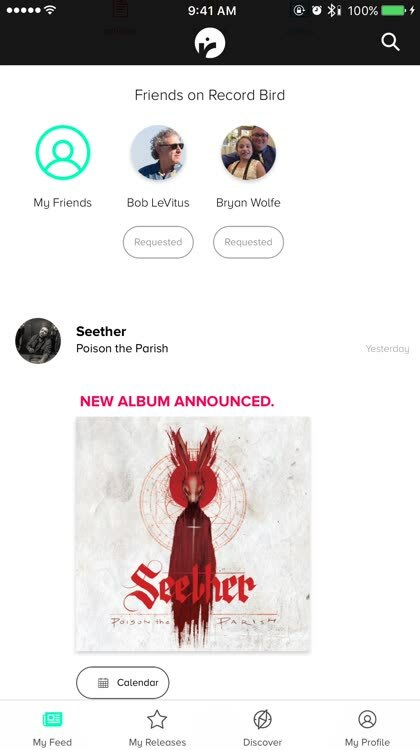 As if that wasn't enough, RecordBird also suggests new musicians to you, based on the artists you already have in your music library. 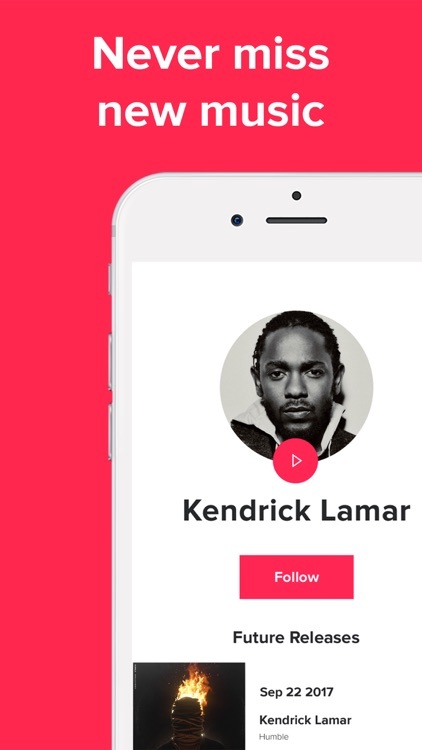 This app is a true social media network for music-lovers, bringing everything that Apple should have gotten right with Connect. 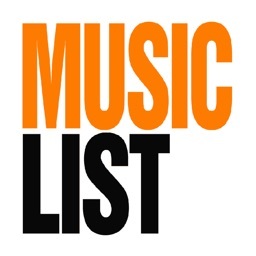 It provides you with upcoming and recent releases from your favorite artists, and also does a great job of suggesting new musicians for you to follow. 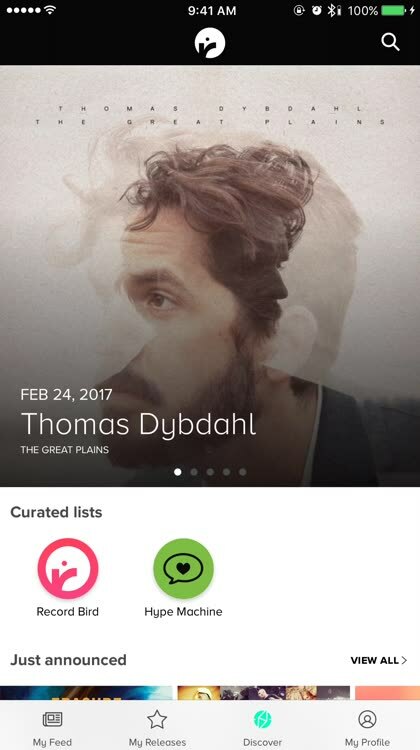 The layout of the app is intuitive and gorgeous, and it works wonderfully. ▶ SHARE. 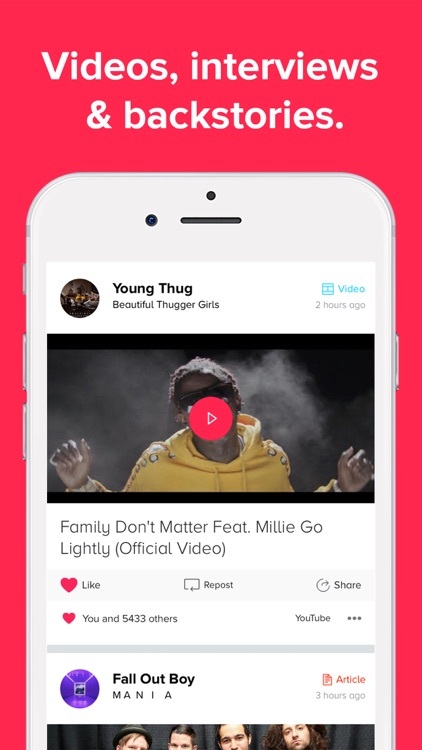 Share the latest videos, tracks, news and releases directly with your friends in Record Bird. 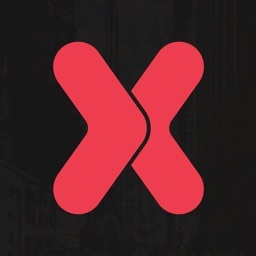 Show your follower's what new music excites you, become an influencer in music and build your audience starting today! ▶ MESSENGER. Message your friends directly in Record Bird. 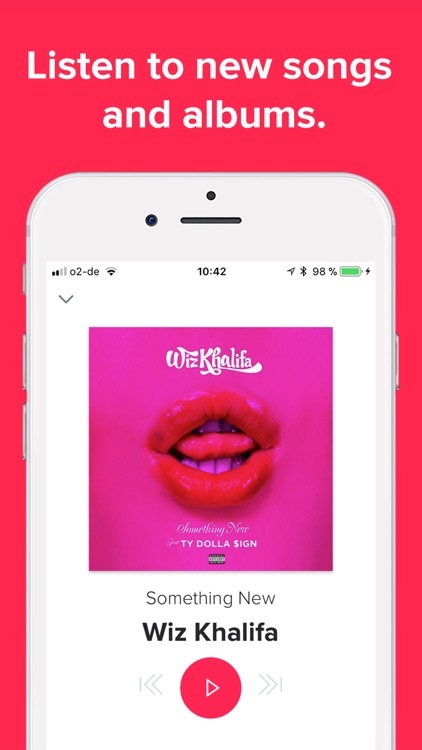 Exchange thoughts on the latest releases, tracks and videos without having to leave the app. ▶ DISCOVER. Want to know all releases of this and last week? Use our Discover Feature and browse through upcoming and recent releases by genre (e.g. 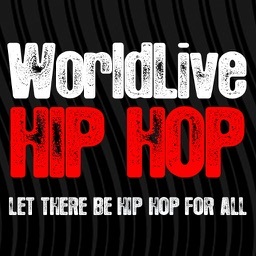 Coming Up in Hip Hop). Find out about the hottest remixes, singles and collector editions. Do you like Record Bird? - Leave us a review and rate our app if you like our service. Your feedback matters to us!